All of our two to five year olds have daily art sessions in our dedicated Art Studio with Hannah, who is our fully qualified Art Teacher. Hannah also spends time with our babies and toddlers each week introducing them to innovative sensory and creative age appropriate art activities. 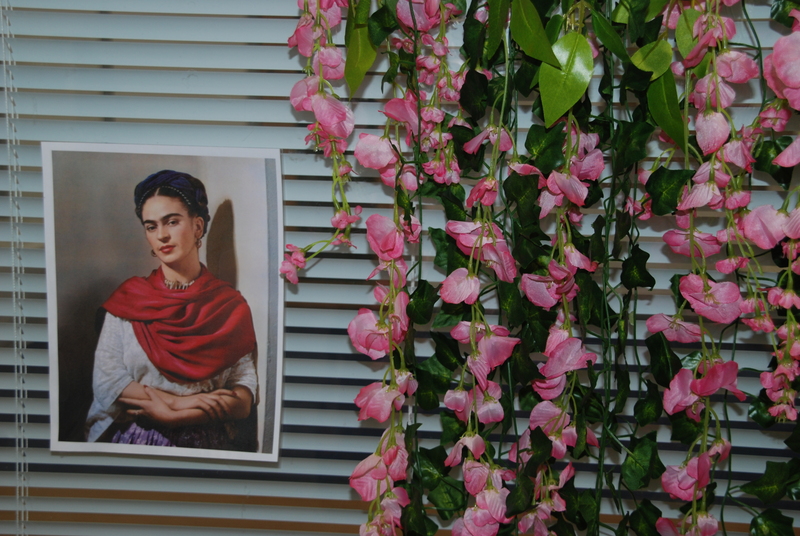 The children at The Wandsworth Preschool have been looking closely at the work of Frida Kahlo in our art lessons for the last few months. We began by exploring ourselves with self portraits in a range of mediums, exploring the similarities and differences we have between us. We looked at self portraits of Frida Kahlo and the children were especially interested in the flowers in her hair and the bright colours she wore. In art sessions we built on their interest by making marks with bright colours, printing on fabric, making our own flower headbands and much more. 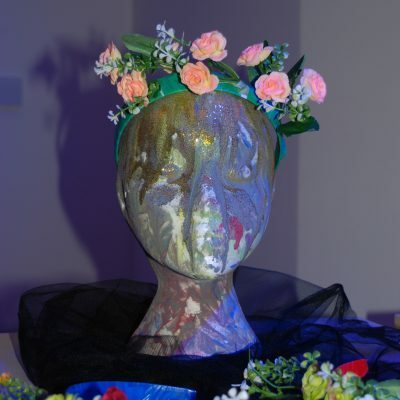 We exhibited the children’s masterpieces across two rooms of the nursery and invited the families and general public to come along and view this as well as being given the chance to buy the pieces in order to raise money for charity. The charity we chose was Winston’s Wish, a charity which supports children and young people who have experienced the bereavement of a loved one. We spoke to the children about what an art exhibition is and the meaning of charity and giving, they were especially interested in charity and how they could help others. 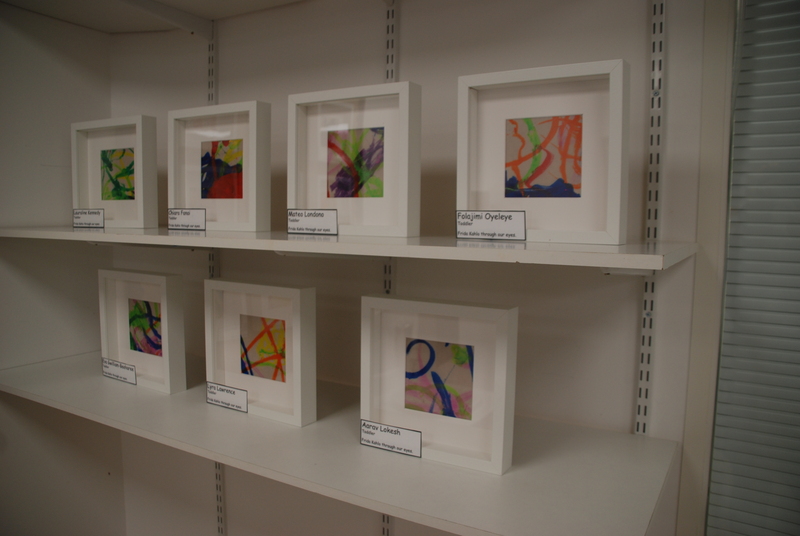 The children each made an individual piece using either ink and water, watercolours on wallpaper, paint sticks on tracing paper, poster paint on card or collage and then each piece was framed and hung in our exhibition room. 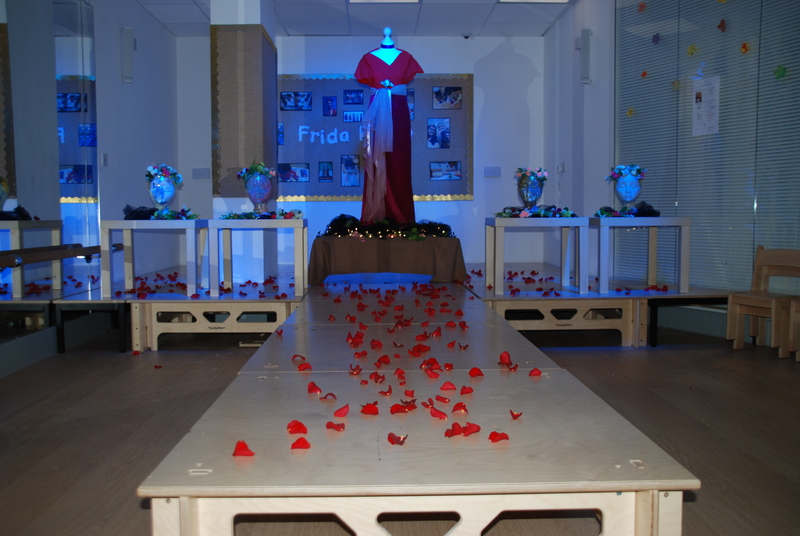 Lots of the children were really interested in the outfits Frida Kahlo wore so we also set up a Frida fashion room which included a range of different fabrics that the children printed on, flower head bands made the preschool children and tote bags decorated to sell. The children were able to dress up in the fabric and head bands and run the catwalk on the day under coloured spot lights!